You know those nail polishes that just SCREAM summer? Well, the Zoya Summer 2014 Tickled Collection does exactly that. The six cremes in this collection are bright, bold and perfect for heating up your summer manicures and pedicures. Keep reading to see swatches and my thoughts on each of the colors! Look at those bottles. Aren't those colors pretty? Ling is a rich, highly pigmented royal blue. With a color this deep, it's tough not to get your nails noticed! I can't wait to paint my toes with this hue. Perfect application in two coats. Tilda is described by Zoya as "a warm mantis green cream that is a great alternative to a summer lime." Pretty spot on! To be honest, I wasn't sure I'd love it until it was actually on my nails -- I thought maybe it wouldn't look right with my skin tone. Well, you know what? I LOVE THIS COLOR. I don't have anything else like it in my collection, and I think it translates nicely from summer to fall. Definitely a new favorite! Perfect application in two coats. Kitridge is a pale bubblegum pink. Pretty standard for summer or any full nail polish collection. As you can see, I had some streaking issues with this one, particularly on my pinky and index finger. This was three coats and still wasn't fully opaque. Rocha is a coral/orange/tomato red hybrid that's just begging for a summer pedicure. I like this color as a manicure, but it would look AMAZING peeking out from strappy sandals! Two coats made the color almost completely opaque, except on my index finger where you can still see a bit of the nail. Rooney is a medium magenta pink. Again, nothing too groundbreaking with this one -- it's really pretty, but not incredibly unique. For some reason, again I had the most issues with application on my index finger. Two coats yielded almost perfectly opaque color on the rest of my nails. Wendy is a playful melon hue. I find this color to be pretty unique -- most summer colors tend to be more coral, pink or orange, but this sits somewhere in the midst of all of them and picks up attributes from each. This would be equally perfect on tips or toes! Seen here with two coats. Overall, I had fairly good results with this collection. I found the formula to be a bit on the thicker side, so two or three thin coats are necessary for even application. Ling, Tilda and Wendy are the standouts for me -- I think Kitridge, Rocha and Rooney are pretty, but not unlike other colors I've seen. What do you think of this collection? Will you be snapping up any of the colors? Let me know in the comments! 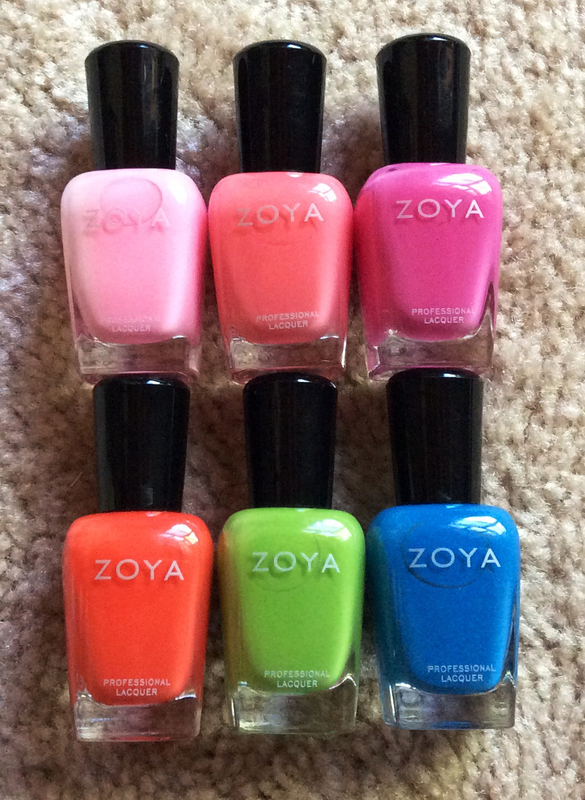 The nail polishes from the Zoya Summer 2014 Tickled Collection retail for $9 each. They can also be purchased as a set for $54. 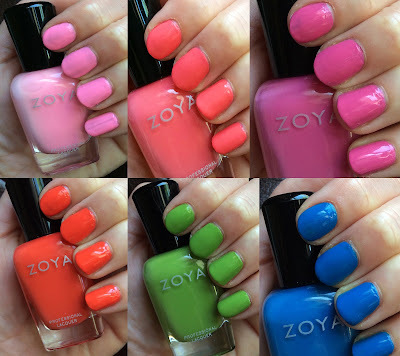 You can find the entire collection at zoya.com.